The main objectives of creating a product label is for consumers awareness and to entice consumers to purchase the product. The labeling creates the product’s first impression and to the company as well. There are key features to include in a product label to create an effective marketing tool and these are listed below. The label should have the facts all listed in a brief and concise manner. Consumers mostly look for the basic information about the product. Product info should consist of the brand & product name, nutrition facts (for food and beverage), manufacturing and expiration date, manufacturer’s name and manufacturer’s address. Product weight and ingredients are listed in this feature. All products contain instruction for use and it should be printed visibly. For medicines like syrups, it’s important to include the amount of dosages and the standard medication per day. Doing manual labeling in huge number of production requires higher human intervention, thus creating more costs. Furthermore, it is also slower and less efficient, thus it’s advisable to employ labeling machinery. 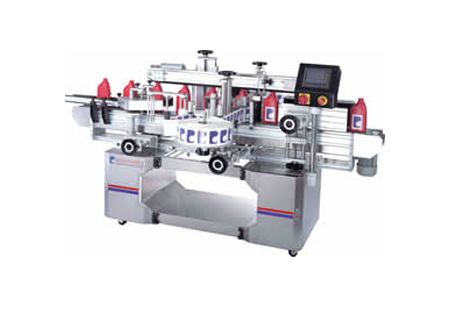 There is a specified machine to be used in doing labeling. It’s best to search the market on what are the trendiest labeling machinery and figure out if it’s suited to your application. Warning is oftentimes seen in items like medicinal and chemicals. Facts about warnings should consist of the dangers and hazards the product might create. For items like beverage, food, cosmetics and drugs, side effects is normally included in the warning signs. Labels should always be informative, simple, and captivating. No one wants to pick a product in the shelves that possesses poor visual attractiveness and has untidy writings. It should always be visible to read, clear and of course attractive to fully entice the buyers to choose the product rather than the competitor’s.